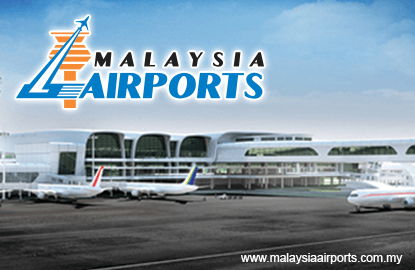 KUALA LUMPUR (Oct 11): Malaysia Airports Holdings Bhd (MAHB) said a scheduled pavement maintenance work at one of the gates at klia2 in Sepang has affected the fuel pipeline at several aircraft parking bays at the terminal today. MAHB said the contractor responsible for the maintenance work at Gate P10 had accidentally ruptured the fuel pipeline while performing the grouting injection at the gate earlier today. “This had caused the hydrant refuelling at the affected wide body bays to be unserviceable,” the airport operator said in a statement. This maintenance work is part of the ongoing klia2 maintenance programme, where grouting injections at 65 locations have been performed since August 2015. “[We] had immediately assessed the situation and called for an emergency briefing with all relevant stakeholders including the airlines, in order to inform on the mitigation plans," said MAHB. The airport operator said passengers may experience some inconvenience resulting from flight delays, as well as some bussing services activation which is needed to ferry passengers to aircraft parked at remote bays. “Only passengers travelling on AirAsia X Bhd are affected and they are advised to check with the airline on their flight schedules and are reminded to arrive at the airport early. “A total of 14 AirAsia X flights are affected from 6 p.m. today to 1 a.m., Oct 12, 2016... other AirAsia flights are not affected,” it said. AirAsia X had released a statement earlier today, informing its passengers of the situation. MAHB said it is currently seeking advice from KAFS Sdn Bhd, the operator for the fuelling aviation system, on the rectification works, and that it will provide further updates, as to when the situation can be resolved.